Explore the relationships between nonprofits, funders, and evaluation and how recent trends and developments in the philanthropic and government sectors have raised expectations for these groups. 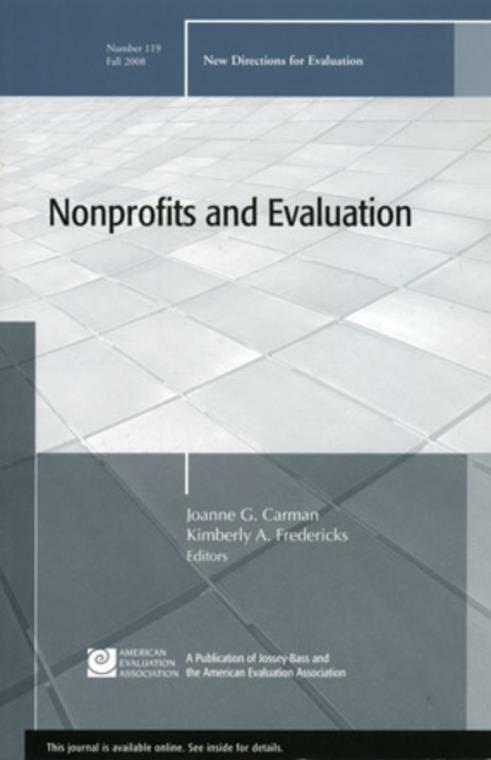 With contributions by those leading the charge to improve nonprofit evaluation, this award–winning volume demonstrates how nonprofits can succeed by being resourceful, investing in their organizational capacity to do evaluation, and creating an environment that supports and facilitates organizational learning. In recent years, many have observed that nonprofit organizations are under increasing pressure to demonstrate their effectiveness and document their program outcomes, as the current political and funding environment continues to stress the importance of accountability and measuring performance. Foundations, government agencies, and other funders are asking nonprofit organizations for more evaluation and performance measurement data. Yet, most nonprofit organizations continue to struggle with these demands, and many lack the capacity to implement evaluation and performance measurement in comprehensive or meaningful ways. Contributing editors Joanne Carman of the University of North Carolina at Charlotte and Kimberly A. Fredericks, assistant professor of management and director of the Health Services Administration program at the Sage Colleges, have received the Eastern Evaluation and Research Association Invited Authors Award for their work on this volume. The award was presented at the 32nd Annual EERS Conference and is a special academic honor that recognizes exceptional scholarship by recently–published authors in the field of program evaluation. how nonprofit organizations can invest in their organizational capacity to do successful and effective evaluations. This is the 119th volume of the Jossey–Bass quarterly report series New Directions for Evaluation, an official publication of the American Evaluation Association.